Marked by Buddhist faithful throughout the world, Visakha Bucha commemorates the life, enlightenment and death of the Lord Buddha some 2500 years ago. This year the holiday, which is sometimes known simply as Buddha’s birthday, fell on May 20. 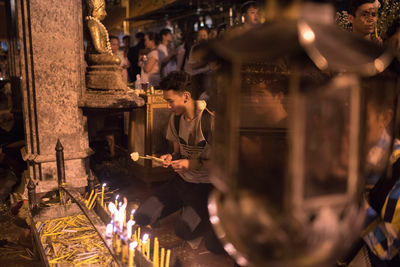 Every year on the night of Visakha Bucha Day it is tradition among local Buddhists to walk in an 11 km pilgrimage to Doi Suthep mountain to reach Phra That Doi Suthep temple. The journey takes several hours and a good deal of endurance, but it’s very popular and the walk is more like a parade. Upon arrival, the pilgrims walk three times around the temple’s main stupa before offering alms to the monks at sunrise. 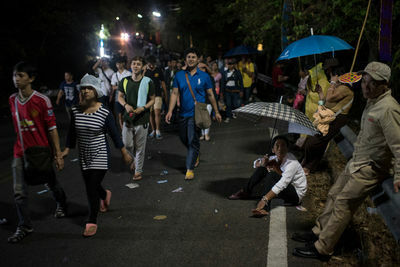 Thousand of people walk to Doi Suthep temple on the eve of Visakha Bucha. 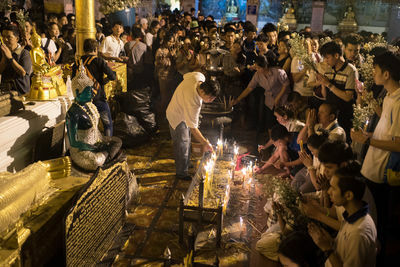 Devotees offer candles and incense while praying at Doi Suthep temple. 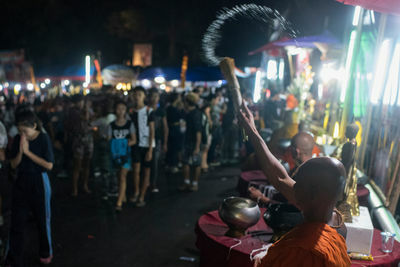 A Buddhist monk is blesses devotees with water as they walk on the 11 km route from Chiang Mai town to Doi Suthep mountain. 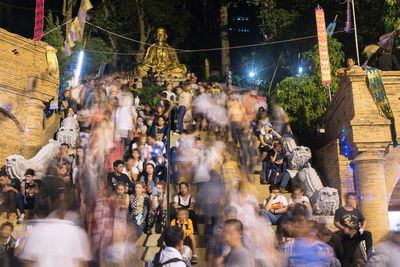 Devotees climb the stairs to reach the funicular at Doi Suthep temple. 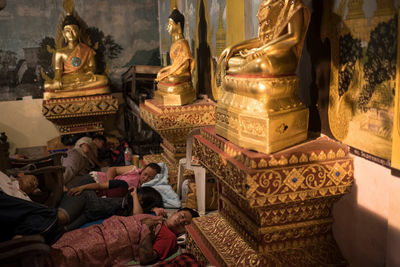 Some devotees sleep around the temple waiting for sunrise when monks walk out on the street to get alms. 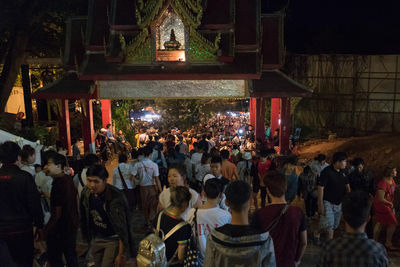 Devotees walk back from the temple to Chiang Mai late at night. At sunrise monks walked down the 300 stairs flanked by green trees and guarded by 16th-century Naga (snake) figures. 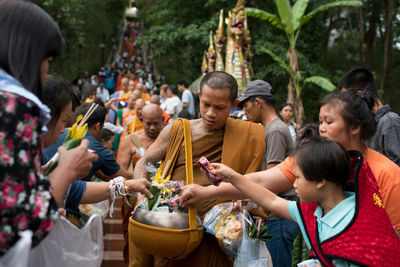 Devotees offer alms and are blessed by the monks. 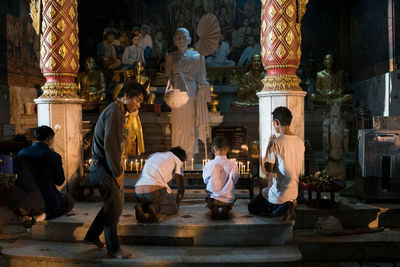 Young devotees perform the Wian Tian at Doi Suthep temple, walking around the main shrine holding a candle, three incense sticks and a lotus bud. 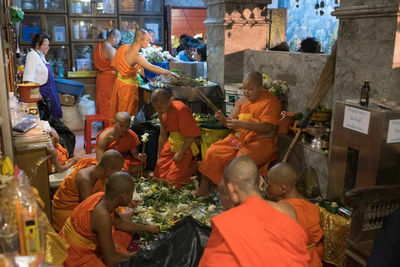 Young buddhist monks prepare the lotus flowers offered at the entrance of the Doi Suthep Temple. 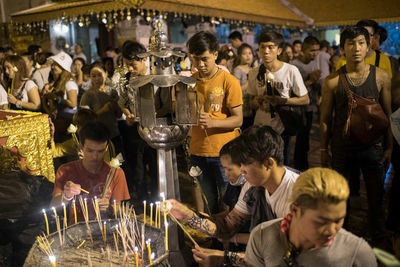 Devotees perform the Wian Tian at Doi Suthep temple, walking around the main shrine holding a candle, three incense sticks and a lotus bud. 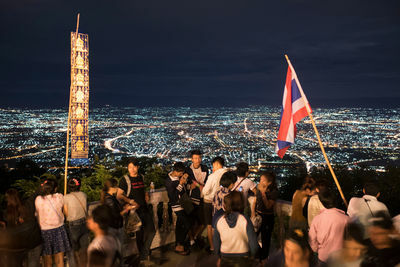 The lights of Chiang Mai city from the terrace of Doi Suthep temple.